Katie and Matt were married one year ago this summer, and Katie had the positively brilliant idea that they should get photos done every year to document their lives and family together. What a great gift to give yourself!! She was one of the very first friends to reach out for a session when I started my business, and has been so supportive of me, so I must publicly thank her so much for that!! 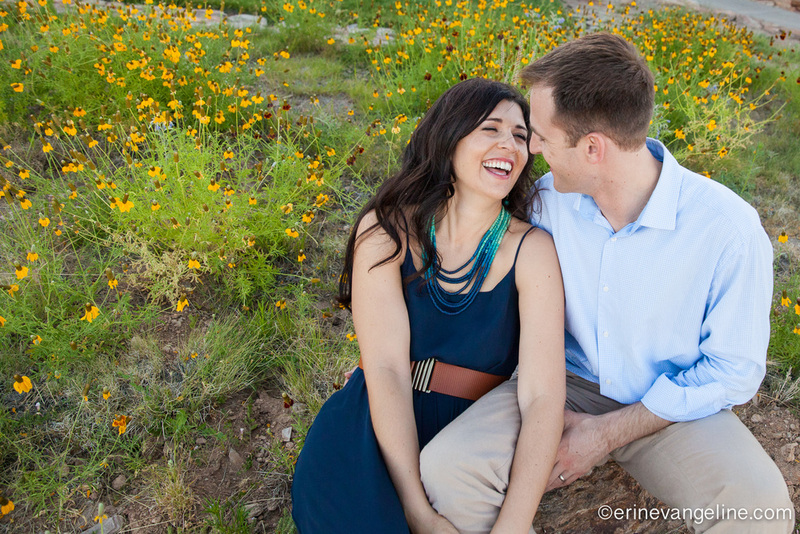 We headed up north to get out of the desert heat, and made our way to Prescott to capture some great moments between this happy, married couple! We began with an awesome red wall and painted fire hydrants... I don't think you can really begin in a much better place than that!! There was a little bakery right downtown that was ADORABLE, and had the best coconut macaroon, ever!! I seriously fell in love with Prescott! Katie, you are just plain georgeous. Matt, you married a hottie!! 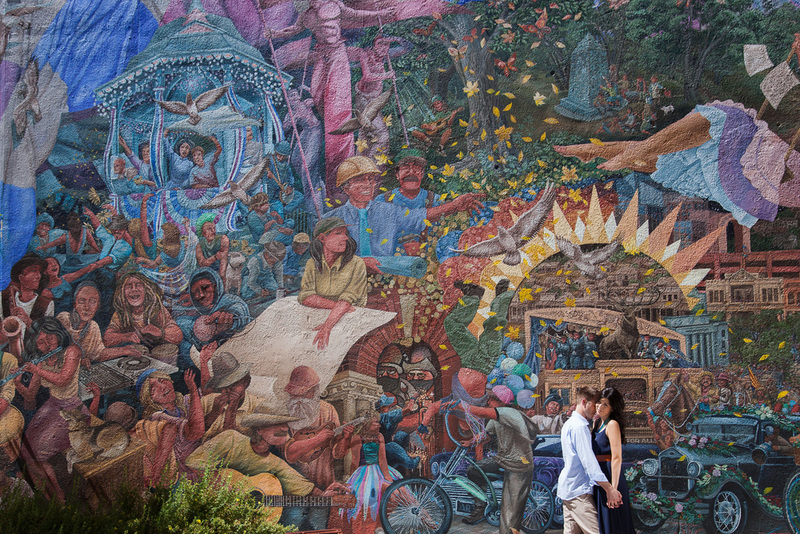 The murals in Downtown Prescott are BEAUTIFUL!!! This was in full, midday sun, but we had to capture some of the magic, this is my favorite of the session! We left downtown to head to the Talking Rock Ranch wine festival. Katie, being such a great friend and organized lady, got us tickets to do some of the wine tasting, after which we got even more beautiful photos on the ranch... get ready for some awesomeness, people!! Love the laughing snuggles!!! This is my favorite, too!! Katie brought this awesome "One" sign before the session so that they could incorporate it into their photoshoot. I loved this touch, and now I think we have started a great tradition so that they will have a photo of every year with the anniversary number in it. I'm taking notes for someday in my future, Katie!! Ahhh... the almost kiss. I love the almost kiss, especially when you can see Katie's smile just peaking through as Matt snuggles in. And the One sign makes another appearance. This location was simply beautiful, I'm so glad you found it, Katie!! Real, genuine, smiles... there is nothing better in the world!! I have got to give Matt kudos, he really was up for anything, and went along with all my crazy ideas. You could feel the love and fun that these two have together the whole session, and considering how close we all live together, I think a board game night is definitely in the works for sometime soon! You guys can finally hang with Phil!! I also have to shout out my best friend, Jessie Fisher, who is an artist and designer and came along with us to second shoot. All together, I'd say we were a pretty good team! In fact, we all had so much fun that I have to split this blog post into two posts because of a brilliant idea we had on the way home. Enjoy these photos, and get ready for even more amazingness next week! !